This month's Gratitude theme is "Body", something I know we need day in and day out, although sometimes it doesn't want to get out of bed! 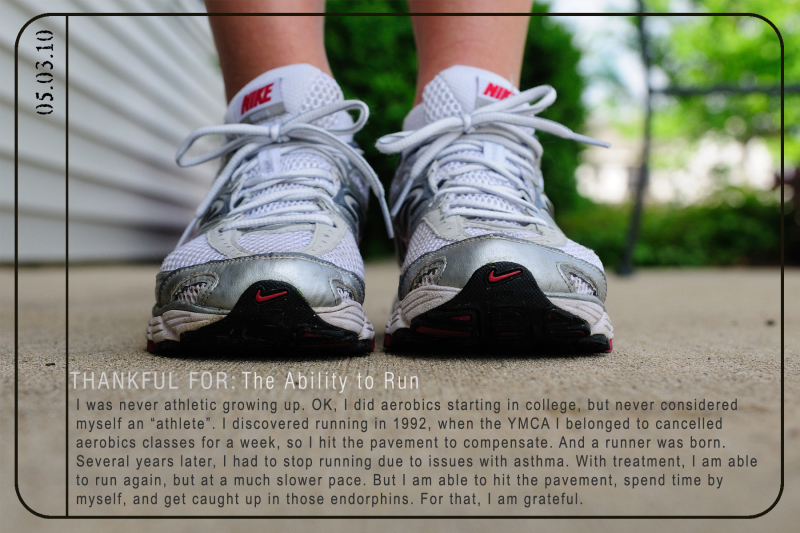 I blogged a little about running on my other blog last week, and every time I go out for a run, I am always grateful my knees and feet still allow the constant pounding of the pavement. Not everyone is so lucky.